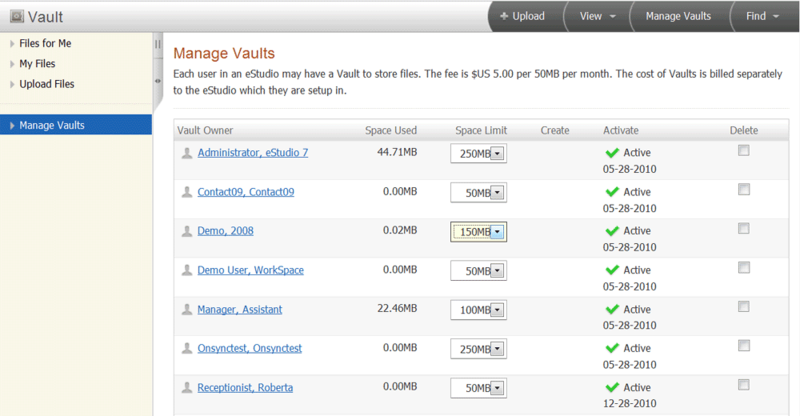 The Vault is a online private secure safe for your files and files you wish to share with others. Available only in Same-Page eStudio products, the Vault uses FTP to allow users to drag and drop files to their browser window. 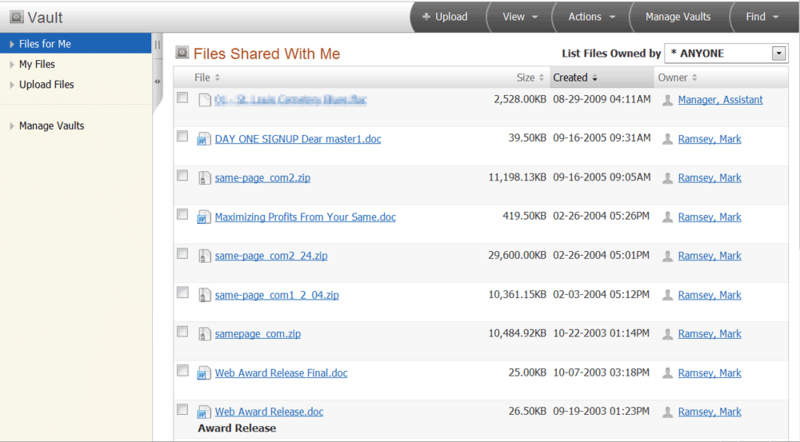 Once files have been uploaded they can be shared with individual user access or moved to folders in our WorkSpace, Presentation or Projects areas within an eStudio.